If there’s one important component to your vehicle that you need to be on top of, it’s your brakes. When it comes to selecting disc brakes or drum brakes, some of us are left scratching our heads. Here’s a breakdown of why disc brakes should be your go-to. Brake fade occurs when friction eats away at your brakes, which is where the main difference between disc brakes and drum brakes comes into play. Disc brakes work better to slow down your vehicle without damaging your brakes. There’s a metal rotor spinning inside the wheel, as opposed to drum brakes, which create a higher heat when trying to slow your vehicle. The metal rotor works alongside your caliper as it’s applied to the brake, slowing your vehicle down effectively. When you can feel your brakes acting odd in rainy or snowy weather, it’s due to water seeping into the drum brake. Drum brakes apply themselves against the wheels, whereas disc brakes work within the wheel. This leaves less room for water to get trapped inside, keeping control where it should be: In your hands. Disc brakes offer greater stopping power due to their self-adjusting system. When it comes time to repair or replace your disc brakes, you can actually see your disc brake system just by taking a hard look at your wheels. With drum brakes, you have to physically remove your wheels, making the process more in-depth and egregious. Disc brakes are a simpler fix and offer greater safety for your entire family. 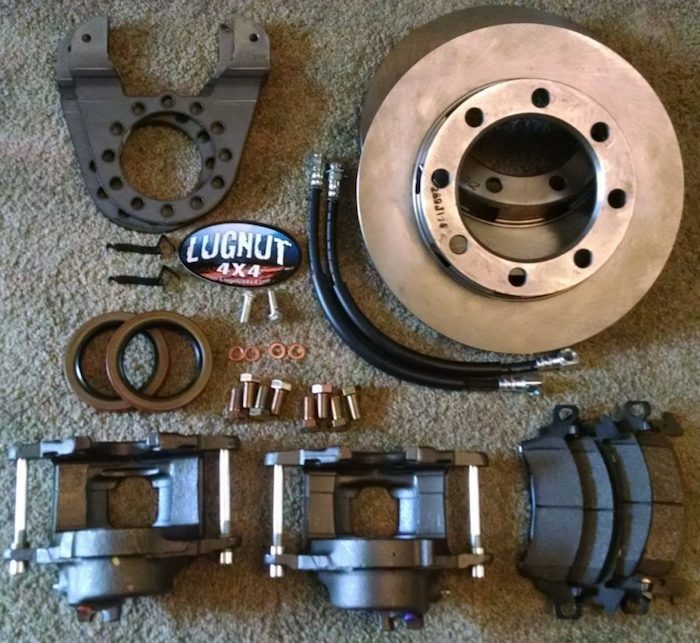 It’s simple to purchase a disc brake conversion kit and get to work. 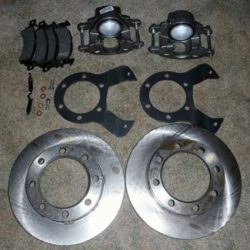 Because more cars use disc brakes than they do drum brakes, you have a wider selection of brake pads to fit your vehicle’s needs, along with your wallet’s. Having disc brakes gives you more control over how you augment and repair your vehicle. Safety, performance, and durability are all extremely important when choosing any working parts for your vehicle. 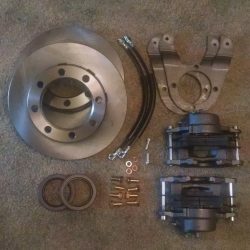 Disc brakes are easier to convert to than drum brakes, and need to be replaced less often. 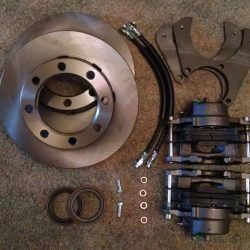 If you currently have drum brakes, it’s time to reconsider your braking system. Check out our kits for front axles here and kits for rear axles here.